I purchased this stunning 24-inch x 18-inch paint-by-number painting for a song last fall at a Wisconsin second-hand/collectible/antique shop. The scene reminds me of the Kentucky Derby. 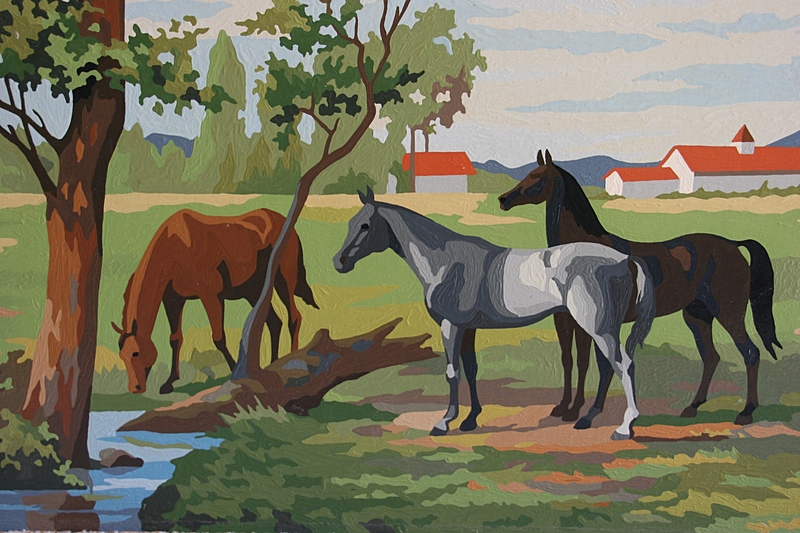 Interestingly enough, on the official Derby website store, paint-by-number horse paintings are available for purchase.